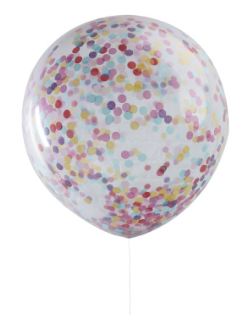 Add a splash of colour to your next party with these stunning Giant Confetti filled Balloons! Wow your friends and family with these trendy 36" balloons, perfect for any special occasion. 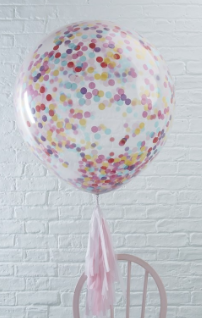 Clear balloons are filled with gorgeous multi-coloured tissue paper confetti pieces! 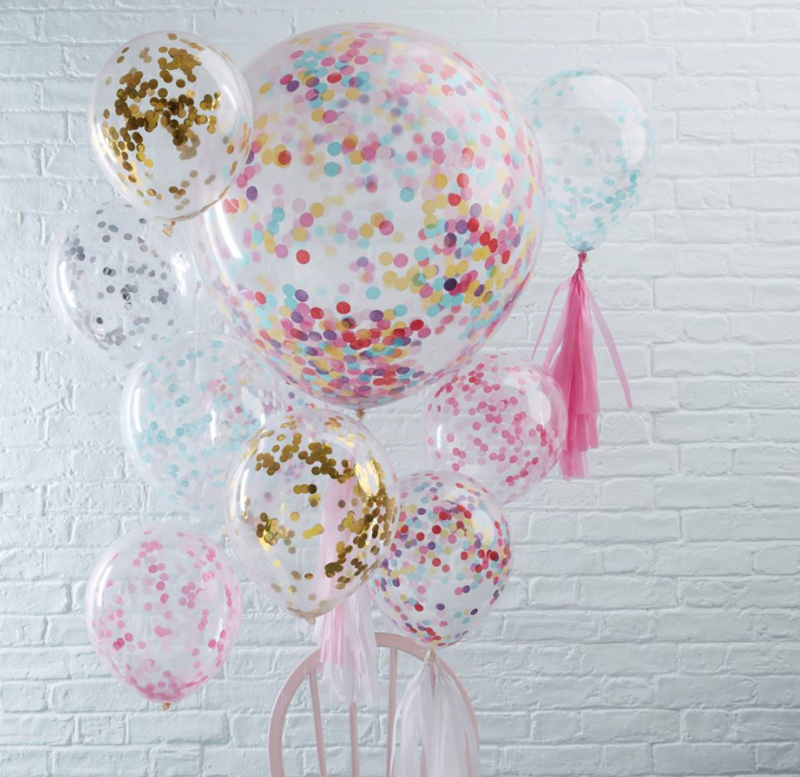 To make the confetti stick to the sides of the balloons, we recommend inflating the balloons with a mixture of helium and a good puff of air! Each pack contains 3 balloons measuring: 36" when inflated.